Milton keynes festival of running and another PB! 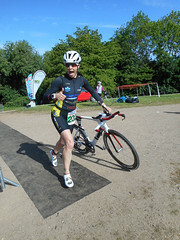 I went, I had a plan, I stuck to the plan – it hurt! It had been a very up and down week for me post La Santa and wasn’t at all sure how I would do at this race – I really wanted to improve on my 1:45 from Bedford but being as I had thrashed myself for a week in Lanzarote I wasn’t sure how fresh I would feel, but to be fair, my legs were feeling good again by mid week so I was hopeful of a PB. 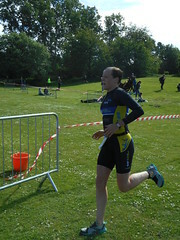 This was a bit of a last minute race as I was gutted that Wokingham half got cancelled due to flooding last month. I definitely wasn’t feeling as ‘race ready’ as I did pre-Wokingham, I was genuinely gutted that race was canceled as I have never felt fitter and stronger than the couple of days leading up to Wokingham, but hey ho! Lesson 3 – prepare for the worst when removing socks after a hard run – I had blood blisters the size of 10pence pieces in several places on both feet! Other than that – amazing day to be running, great race, fairly flat with a couple of hills and a damn evil long hill at the end that I wasn’t expecting, everyone groaned when saw that one looming around a corner! Got my PB – 1:42:08, a PB by 3+ minutes. Not bad for 2 months work since Bedford! Happy? Yes, very! And thank you to Musty who coaches me and helps me on a daily basis! I couldn’t make improvements like this on my own, Musty’s advice and training plans are helping me – a lot! 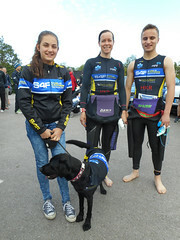 The fourth discipline of triathlon…. I have heard many times as recovery being termed the fourth discipline of triathlon. Many people talk about recovery runs, swims, rides, stretching, consumption of protein shakes etc. as recovery but what i’m going to discuss here is just plain recovery – i.e., rest and things we can do to speed up the recovery process (although obviously low intensity recovery training does that also). I decided to write this blog whilst sitting in my cold bath cooling my legs after my long run on Saturday morning. I haven’t partaken in ice baths for about a year, but did so a lot during training for my first marathon and for some reason stopped it during the peak of my ironman training last year and i cant fathom why? So anyway, after a couple of very hard run sessions in the last week and a couple of very poor sessions on the bike due to unrecovered leg muscles, I decided on Friday night I was going to give ice baths a try again for a couple months and see how it helps my recovery. What Happens to your Body During Recovery? Most coaches would say that building recovery time into a training program is crucial because it is in this time that the body adapts to the stress of exercise and the real training effect takes place. Recovery can also allow the body to replenish energy stores and thus repair some tissue damage. Any form of exercise can causes changes in the body such as muscle tissue breakdown and the depletion of energy stores in the muscle as well as fluid loss. For these stores to be replenished sufficiently and to allow tissue repair to occur, the body must be allowed to recover. Problems from overtraining can often occur from a lack of recovery time. Signs of overtraining which most of us will have experiences at some point can also include an increased risk of injury, among others. For me personally, reducing this risk of injury is or prime importance – hence my new found interest in speeding up recovery in any way possible. Does a post-exercise ice bath help recovery? I’m sure this is good for us!! Taking an after exercise plunge in an ice water bath (12 to 15 degrees ice water) is a common practice among many elite athletes as a way to recover faster, and reduce muscle pain and soreness after intense training sessions or competitions. From elite runners like Paula Radcliff to nearly all professional rugby players, the ice bath is a standard routine. In addition to the ice bath, some athletes use and contrast water therapy (alternating between cold water and warmer water) to get the same effect. So, what’s behind the ice bath and does it really work? The theory behind ice baths is related the fact that intense exercise actually causes microtrauma, or tiny tears in muscle fibres. This muscle damage not only stimulates muscle cell activity and helps repair the damage and strengthen the muscles but it is also linked with DOMS (delayed onset muscle pain and soreness) which occurs between 24 and 72 hours after exercise. There are loads of peer reviewed studies out there that have tried and tested the hypotheses, a few are listed below in references but I’m not going to bog this blog down in the details – for me, it seems to work, and the evidence shows it does work for a lot of people, some it doesn’t. The evidence un-equivocally shows there is certainly no negative effects from using cold water therapy, so even if there is only a placebo effect – it it works for me, it works! If you are going to try cool or cold water immersion after exercise, don’t overdo it. Ten minutes immersed in 15 degree Celsius water should be enough time to get the benefit and avoid the risks. I find that getting showered first then wrapping your upper body in a very arm fleece you can sit in a cold bath covering your legs quite comfortably for 10mins. I usually take a hot coffee in with me and my iPhone and before you’ve even finished a couple of emails and looking at twitter, bingo, 10 mins is up! Whether the science supports the ice bath theory or not, many athletes swear that an ice bath after intense training helps them recover faster, prevent injury and just feel better – and I’m one of them (if you can cal me an athlete) so I’m going to give it the the next few months and see how I get on! Vaile, J.; Halson, S.; Gill, N.; Dawson, B., Effect of Hydrotherapy on Recovery from Fatigue. Int’l J. Sports Medicine, July 2008. Kylie Louise Sellwood, et al. Ice-water immersion and delayed-onset muscle soreness: a randomized controlled trial Br. J. Sports Med., Jun 2007. Vaile JM, Gill ND, Blazevich AJ. The effect of contrast water therapy on symptoms of delayed onset muscle soreness. J Strength Cond Res. 2007 Aug;21(3):697-702.